Sailing to Semaine du Golfe 2019. Board the Atyla in her homeport in Bilbao, straight after she celebrates 35th birthday! Have lunch with your new shipmates and learn everything you need to know before departing with the high tide. Make your way across the Bay of Biscay over the next 3-4 days. Depending on the time, you might make a short stop along the way. Finally you will reach your destination in the Morbihan Gulf on May 26. 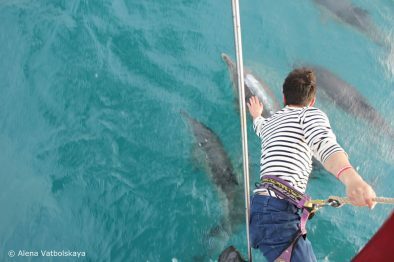 From then on, you will spend your days on board, helping Atyla’s crew during the famous sailing festival Semaine du Golfe (about 5 hours a day). You can also choose to disembark on May 27th, without staying for the festival – see the other journey. Open to all Windseekers, minumum age 15 years. Bilbao is a port in the northern tip of the Iberian peninsula, founded in the 14th century. 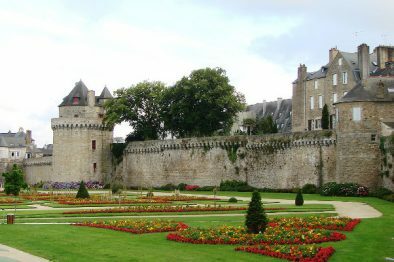 Later on it became an important commercial hub for the Basque region. Today, Bilbao is a vigorous service city. 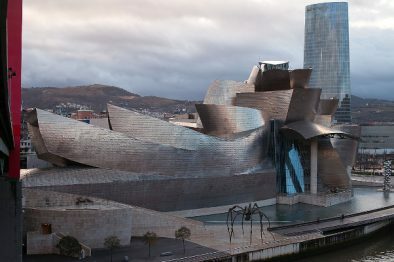 The iconic Bilbao Guggenheim museum is a must-see. Also take some time to walk around the city centre and visit the Exteberria Park. Around the city you can do many outdoor activities such as rock climbing, hiking and surfing. "As crew, there is nothing better then standing back and seeing the trainees do all the work and do it perfectly!" "I LEARNED THAT IT'S NEVER TOO LATE TO FIND A NEW PASSION IN LIFE." "I have learned that despite my small size, I can do anything if I put my mind to it." Subscribe to our monthly newsletter and be the first one to know about new Journeys, Ships, sailing events, special deals and many more!